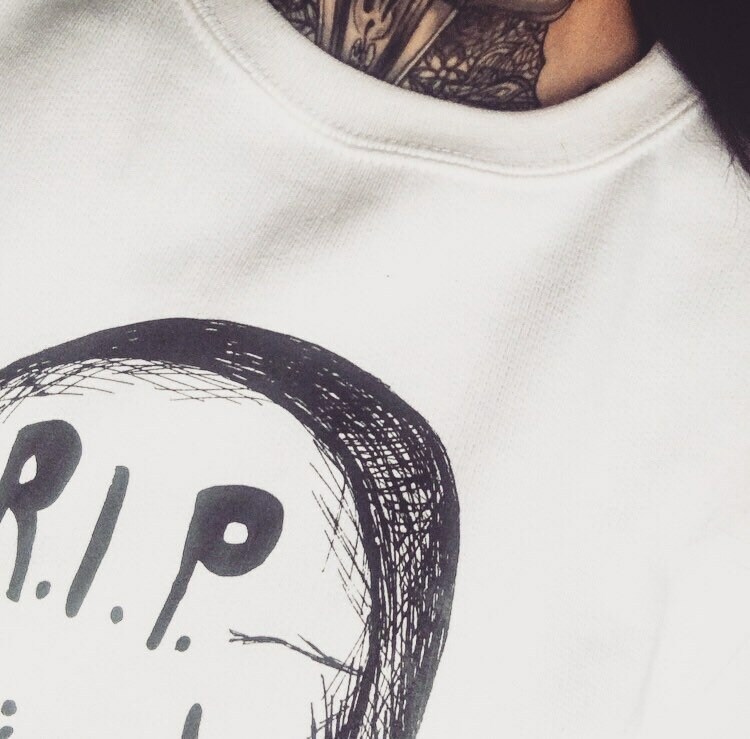 Bio sweatshirt with screen print "R.I.P. 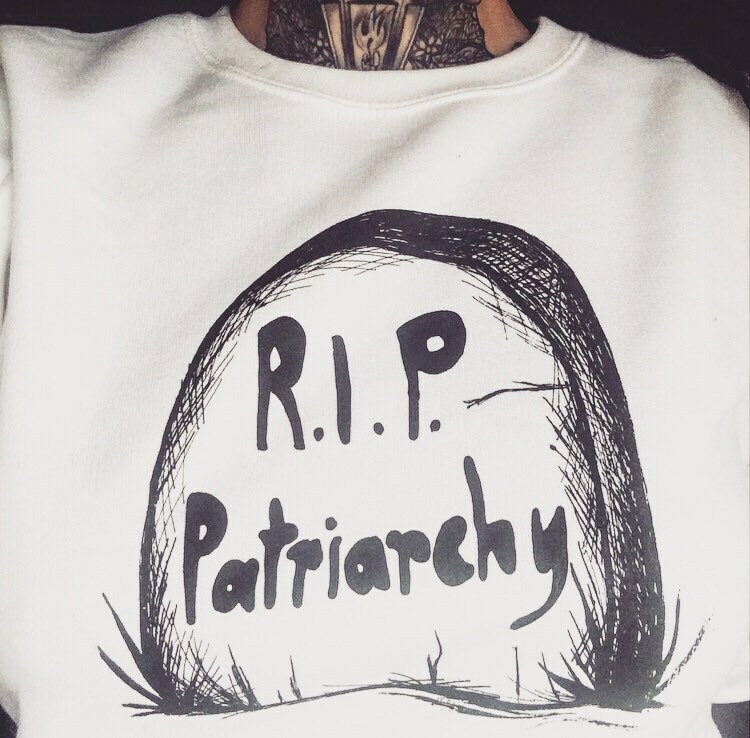 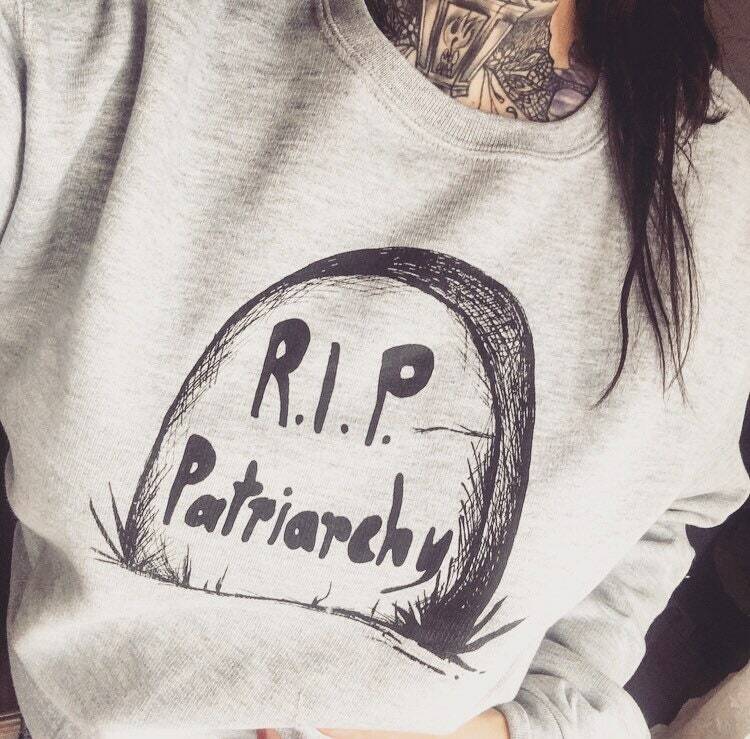 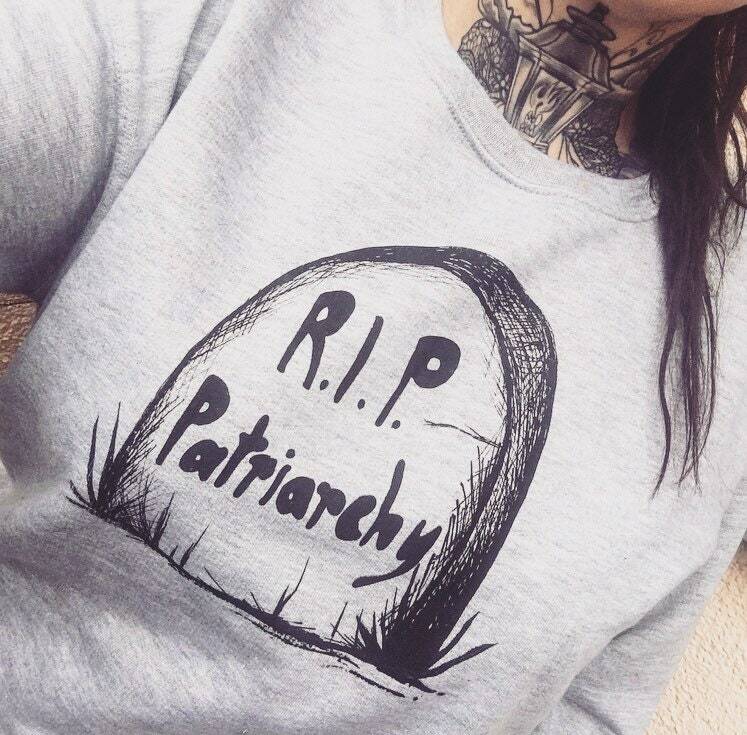 patriarchy"
Description: Round neck sweatshirt with fluffy Innnfutter. 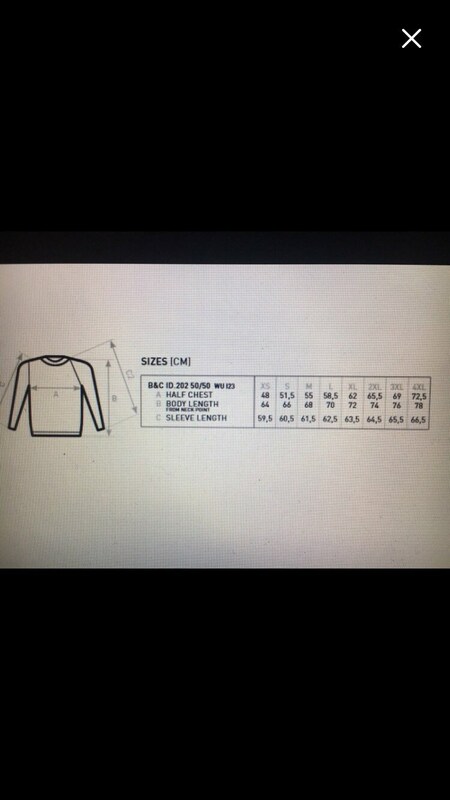 Hem, sleeve cuffs and collar made of 1x1 spandex rib knit.